-Will the Cowboys repeat as NFC East Champs despite Ezekiel Elliot’s suspension? – Does the Giants have what it takes to win the NFC East? – Can the Redskins rebound from last year’s disappointing season? – Will Carson Wentz improve in year 2 to win the NFC East? -Will the Seahawks repeat as NFC West champs? – Has the window closed in Arizona? 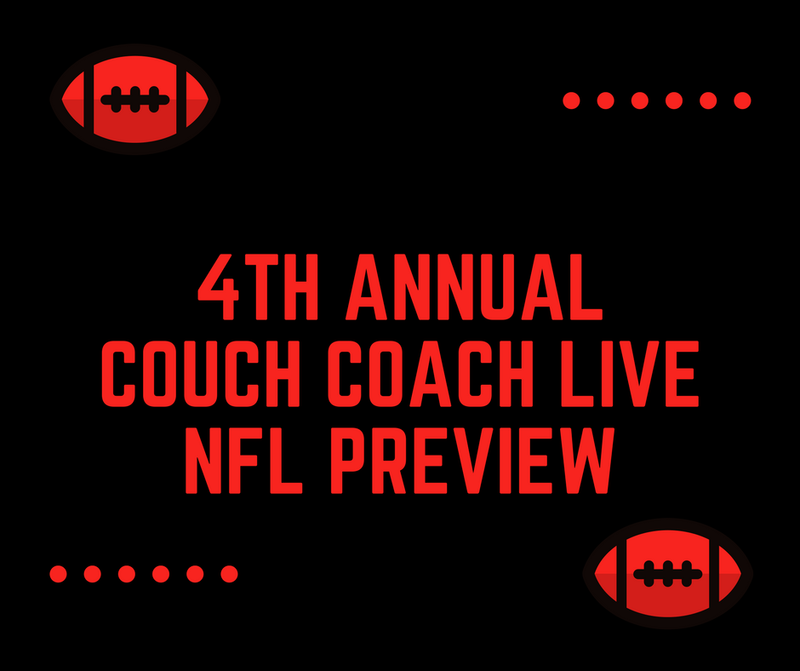 – How will Kyle Shannahan do in his 1st year as a Head Coach? – Is this a make or break season for Jared Goff? -Is the Raiders poised for a Super Bowl run with a healthy Derek Carr? – Who will be the starting QB in Denver? Will we Chad Kelly this season? – Can Melvin Gordon improve in his 3rd year? – Will the Chiefs win the AFC West? -Will the Falcons overcome the Suberbowl hangover? – Can the Panthers bounce back and dominate the NFC South again? – Are the Buccaneers poised to win the NFC South? – Is this the final year of that Drew Brees era in New Orleans?